We’re only a couple of months away from the highly anticipated eighth and final season of Game of Thrones, so it’s no surprise that some sweet merchandise is starting to be unveiled. 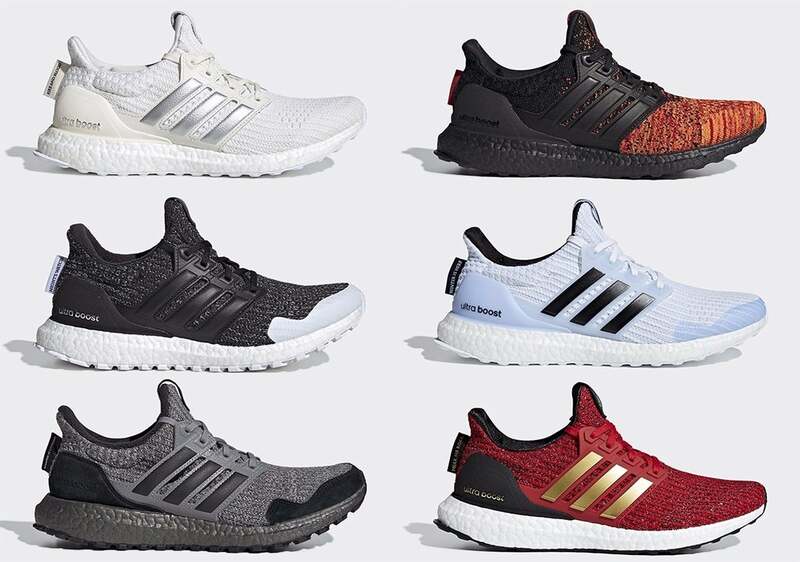 According to Kotaku, Adidas has a new line of Game of Thrones-themed sneakers that are perfect for anyone who loves the wide world of Westeros. The designs will be appearing on the Adidas’ Ultra Boost 4.0, which typically go for $180. However, Kotaku reports that collaboration shoes such as these sometimes can sell for $200 or more. There is no release date yet for the sneakers, but the shoe experts expect the release will happen around the same time as the show’s season premiere in April. When it comes to the design of the shoe, Kotaku’s Luke Plunkett has some thoughts. “I’m still bummed these aren’t based on the original and superior 1.0 Ultra Boost, which Adidas is still releasing for select collaborations, but there are still some nice touches on these that elevate them above a standard 4.0, like extra material on the toe on some and premium cages on some others,” he wrote. Game of Thrones’s final season will only be six episodes long, but that doesn't mean they won’t be lacking in quality. In fact, HBO chief Richard Piepler says the crew behind the show practically filmed six feature-length films as the final episodes. What do you think? Will you be buying a pair of the Game of Thrones sneakers? Tell us in the comments! Game of Thrones returns for its final season on April 15th.